Signing their first record deal in 1967, the group (with the late Michael Jackson) made history in 1970 as the first recording act whose first four singles reached No. 1 on the US Billboard Hot 100. Building a reputation for their combination of music and brilliant choreography, they went on to score 17 Top 40 singles on the Hot 100 together with 22 UK Top 40 singles including Never Can Say Goodbye, Show You The Way To Go and Dancing Machine. Following the groups massive success in the 1970s, they spent the 1980s and 90s concentrating on successful solo careers. They reformed for a series of concerts in 2001. In 2012 The Jacksons reformed for their Unity Tour and have packed theatres and arenas around the world ever since. "We had the privilege of performing for Her Majesty The Queen when we first came to the UK in 1972 and are always excited to return," says Tito Jackson. "The British audiences love their music and we can’t wait to share ours with them when we bring our show to GREENWICH this summer!" "The Jacksons are one of the most legendary groups in music history. Their eternal mix of infectious funk and pop soul defined a generation and was the catalyst not only for hundreds of millions of record sales, but for inspiring the generations of hit makers who followed them. 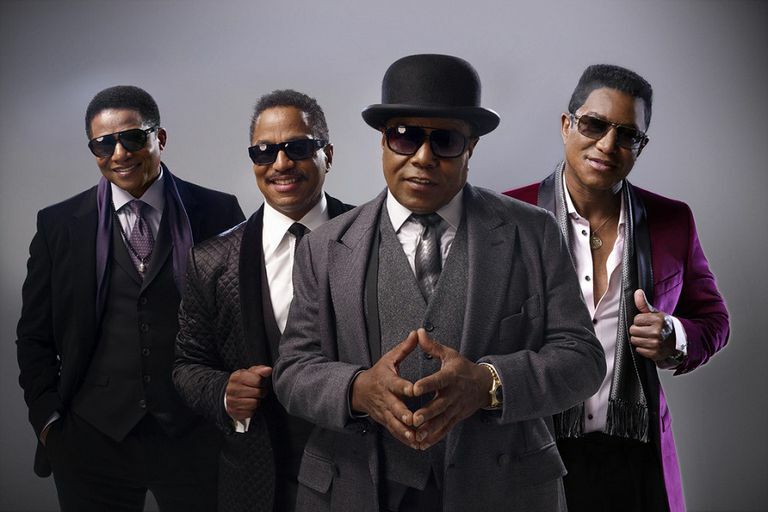 We are delighted to be bringing The Jacksons to Greenwich as this will be one of the live music events of the summer." The Jacksons at Greenwich Music Time is not available to book, please sign up to our newsletter for updates and offers on forthcoming and available shows. Where is The Jacksons at Greenwich Music Time ?